We love to support reading in all its forms and especially Reading Groups. If you would like to be put in touch with any of the groups mentioned in these pages please do contact us. Our book group meets on the 2nd Monday of the month in Burton Joyce Library and is themed rather than us all reading the same book. For example, we covered “Love” when we met on Valentine’s Day, and have discussed Irish Writers, Nature Writing and Memoires. Popular authors in the Irish category were William Trevor and Sebastian Barry, both pretty unremittingly sad. We are a group of members of Bleasby WI who meet in our local pub – The Wagon and Horses on Gypsy Lane – to discuss our latest book choice. We meet on a Friday at 2.15pm for a 2.30pm start. The date of our next meeting is decided on at the meeting, usually in 4 to 6 weeks time. We read a wide range of books obtaining as many copies as possible from the library. 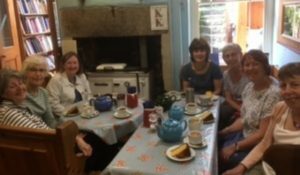 We are called Chatsworth Book Group as we mostly meet on Chatsworth Avenue in Southwell, on Thursday mornings at monthly intervals. Our book at the moment is Edmund de Waal’s The Hare with Amber Eyes. We read an eclectic range of titles … forthcoming books include The Sense of an Ending by Julian Barnes, and Hilary Mantel’s Fludd.  Thanks to The Bookcase for all your support, and we wish you continued success! Our group welcomes new members – to join a dedicated core of people who started it with Liz Froggat’s (ex The Bookshop in Southwell) guidance in April 2010. We meet each month on the first Tuesday of the month from 8pm at The Old Coach House on Easthorpe Southwell. We’ve moved ‘homes’ a couple of times, from Hearty Goodfellow to Bramley Apple to our current ‘home’, but have retained ‘The Bramley Book Group’ as our name for our Facebook page – BramleyBookGroup. We are open to read books of any genre – from classic to fantasy to autobiography to modern novels – each member choosing a book to present. The group holding up Jodi Picoult’s book which we read to coincide with her visit to Southwell Library in Nov 2014. In November 2015, via local publisher Ian Collinson, we were delighted to welcome Michael Smith (and his wife Muriel) who lives locally and wrote ‘The Deed Room’. Mike and Muriel are now regular members. We kicked off in September 2004 with a group of four ladies, and over the last few years have merged with another group “The Wrigglers” – (a play on the theme of bookworms!). We now have a membership of six, three men and three women aged between 78 and 34. We take it in turns to choose a book for the group to read. In 2012 we covered fantasy, crime, erotica, historical biography and travel. I don’t think it would be difficult to guess the erotica choice!!! We meet every six weeks at The Roebuck on St James Street in Nottingham. We always meet on a Thursday so that we can incorporate their fabulous “curry and a drink” deal for a fiver! Oh dear! My book club chums have a great deal of patience to cope with my eccentric ways; one of them being our annual awards ceremony! Everyone’s book choice is scored out of ten and at the end of the year the winner and runner up get a prize of my choice! Because we love The Bookcase it always involves a book token and whatever takes my fancy from their fabulous range of gifts. Steve is from a Lincolnshire farming family hence the tractor money box! You can now see what they have to deal with! I think they secretly like all the Enid Blyton Secret Seven stuff! What “purls” of wisdom can I share with you about the Lowdham Cast Offs? 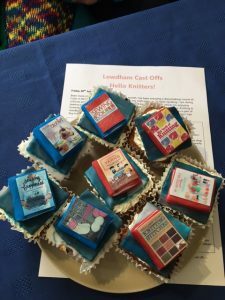 We meet on the last Friday of each month at The Bookcase in Lowdham – I usually provide the cakes and Jane provides the coffee. We started in March 2012 and are registered with Let’s Knit magazine – it was great seeing the group’s name in print! We have a monthly newsletter and a Facebook page under Lowdham Cast Offs. We are a friendly bunch of mixed talents and always welcome any new fellow knitter. We are a sub-group of the Arnold National Women’s Register branch, meeting 6 times a year. Over the years we have read a variety of genres including historical, crime, sci-fi, teenage literature and fantasy. Recently we looked at short stories, their style, how they must differ from the novel and their value. Our next book is My Dear, I Wanted To Tell You by Louisa Young. We’re a group of 12 from Lowdham and surrounding villages. The group was set up in about 1999 by Eve Griffiths and friends and is led by Eve (who works at The Bookcase). We choose books from a wide selection provided by The Nottinghamshire Library Service and have very informal monthly meetings in Lowdham Library. On occasion, when we open our box of books, our chosen title has been substituted for something else, which pushes us out of our comfort zone and provides for wide-ranging discussions. We also go to the theatre and other literary events together. 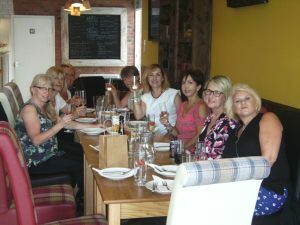 We have been running on a Tuesday evening once a month at The Hearty Goodfellow, Southwell, since April 2010. We’re a lively group – ages ranging from (guessimate!) late 30’s to late 70’s. As well as discussing a topic book each month, we have social evenings (Christmas/New Year) and outings, the last of which was to ‘One Man Two Guvnors’ at the Theatre Royal. We have just started a Facebook page – HeartyBookGroup – where people can see what we’re reading. Our book group meets monthly on a Tuesday morning in Southwell. We have eclectic tastes and try to include books stretch our horizons. A recent example might be Black Water Rising by Attica Locke, a debut crime novel set in Texas. This year the group has been going for 10 years and we celebrated with a day out in Derbyshire. Our photo shows us enjoying refreshments! We meet on the second Wednesday in the month. This is our tenth year as a group with most of our members being the original enthusiasts! We have a system whereby we have a planning meeting and all members bring their own suggestions so we have a wide range of genres and themes. This leads to some very lively and entertaining discussions and we always feel that we have had a good evening. We enjoy memoirs such as This Boy by Alan Johnson, My Secret Sister by Helen Edwards and The Secret Life of Bletchley Park by Sinclair Mc Kay. We enjoy thrillers and detective novels, those set in the wars, historical fiction along with many other fiction and non-fiction works. We have struggled to find books which are genuinely amusing so would be grateful for any suggestions. We did, however, enjoy The Uncommon Reader by Alan Bennett. Our book group doesn’t have a name. We currently have 15 members who come from Southwell and surrounding villages. We meet in each other’s houses at 19:30 on the 2nd Monday of every month except in August. We choose books recommended by members with the general requirement that the person recommending should actually have read the book! From the books we have read this year I would recommend Behind the Beautiful Forevers by Katherine Boo. It reads like a novel but is actually a factual account of life, and death, in a Mumbai slum. It is both shocking and, at times, very funny. So called because we we meet at The Coffee Hideout Cafe, Somersby Road, Woodthorpe, Nottingham NG5 4LW. The Coffee Hideout Cafe Book Club meets every 4-6 weeks at 2pm on a Saturday. There are around 12-15 members aged from 15 to 83 years, all currently female. We choose two books to review, sometimes a book received from a publisher in exchange for a review or sometimes we pick a members choice from ‘the hat’. We have chosen from library lists and Richard and Judy’s list. 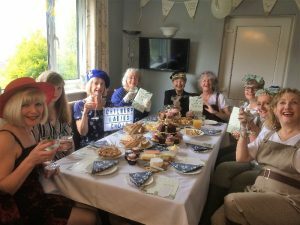 Our favourites to date are A Man Called Ove by Frederick Backman, Room by Emma Donahue and The Chilbury Ladies Choir by Jennifer Ryan (we dressed up in 1940s attire to review with afternoon tea and gin) . The one we really struggled with was The Essex Serpent by Sarah Perry and yet that has received rave reviews. It just goes to show you that reading books will always provide a great platform for lively discussion! A cuppa and cake is only £3.75 so a very reasonably priced outing although we can often be found continuing our discussions over something a little stronger at Wetherspoons on Mapperley Plains.